Customer details such as names, mailing addresses, telephone numbers and email addresses provided during the ordering process are used to facilitate sales transactions and improve our services to customers. Customer details will only be used in accordance with the details described within this statement. Once an order has been placed we may send you information, by post or e-mail, on other books which may be of interest. You may opt out of receiving this information at any time either via the website, or by contacting us by e-mail, fax or telephone. We will never sell or rent your data to third parties. You may request details of personal information which we hold about you under the 2018 The General Data Protection Regulation (GDPR). If you would like a copy of the information held on you please contact Julie.Johnson@pemberleybooks.com. If you believe that any information we are holding is incorrect or incomplete, contacts us and we will promptly correct the details. Our shopping basket and checkout require you to have cookies enabled within your browser settings to function correctly. This is in line with most other e-comerce sites. We do not store any personal information in the cookie, and only a meaningless randomly generated key to link you to your basket contents. 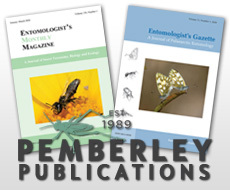 Pemberley Natural History Books attaches great importance to protecting our customers’ personal information. Credit card and other information supplied via our secure website is processed with high levels of electronic and physical security, being transmitted to us with 128-bit encryption using Secure Sockets Layer (SSL) which is validated using a Secure Certificate issued by Thawte. The information is not permanently stored on our web server. Secure payment by credit card is normally made during the checkout process, however, customers who need to send us their payment details securely, without placing an order, may use this secure payment form. This may be to pay an invoice, complete a transaction, pay for an item not offered on the website, or to supply new or updated card information.